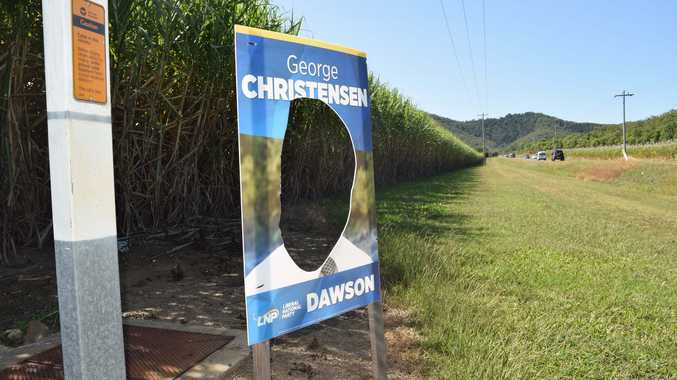 FEDERAL member for Dawson George Christensen's campaign to retain his seat was attacked by vandals last night, with a number of campaign signs in the region bearing the brunt. Signs on Shute Harbour Road between Mt Julian and Cannonvale were targeted, with a knife used to cut Mr Christensen's face from three of the placards. A further four signs had a strip cut from their middle. Mr Christensen said the attack was more extreme than most. "Normally you might get a few signs pinched during a campaign or some people mucking around might deface them," he said. "But this is a little bit different; this is obviously targeted. "They've obviously gone out one night and decided they were going to destroy as many George Christensen signs as they can find." The MP said he is "not too fussed", but would be reporting the vandalism to police because "it's been done in a targeted way". Mr Christensen said the destruction of his signs was "obviously done by someone who opposes me". "If that's the mentality of those who are running in opposition to me, then it will be on their heads," he said. Acknowledging the deliberate manner of the attack, Mr Christensen said he didn't feel it was indicative of a broader sentiment in the community. 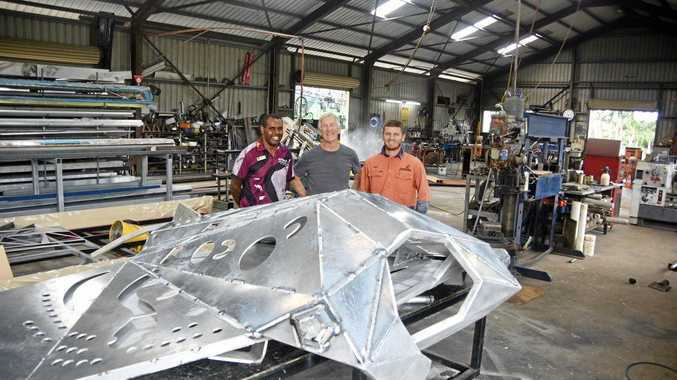 "The Whitsundays and Proserpine are wonderful towns in terms of the support that I get," he said. "Obviously there's someone that is a little bit unhinged that has gone and done this, but broadly speaking I get some of the best support and the LNP gets some of the best support that it does out of Proserpine, Cannonvale and Airlie Beach." The signs will be replaced "in a day or so".